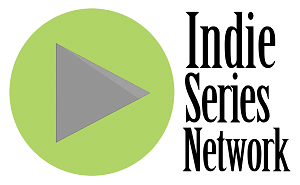 In last week's ISN "Indie Series of the Week" poll, Family Problems was voted favorite web series for the third week in a row. It's now time to catch up on all the new episodes and vote for your favorite series in this week's poll. You can also cast a vote for your favorite actor, actress and web series couple/duo. Voting ends Wednesday, September 17 at 4 p.m. ET (one vote per person per day). Web series that aired one or more new episodes from September 7-13, 2014 are eligible. If an indie series aired this week and is not on the list, cast your vote as "Other" and write in your choice. - 39 to Go Episode 4 "How to Mack a Hipster"
- Day Zero Season 2 Episode 4 "Sacrificial Lamb"
- Posers Episode 3 "Dressing the Part"
- Proper Manors Season 2 Episode 10 "In Memorium Part II"
- Ragged Isle Episode 20 "Original of the Species"
- Still Episode 11 "Parts"
- Youthful Daze Season 3 Episode 2 "Changes"
Look for information in late September about the 6th Annual Indie Series Awards (schedule, submission process, etc)! It's wonderful to see Ragged Isle on the list again. Happy to be amongst such creativity!